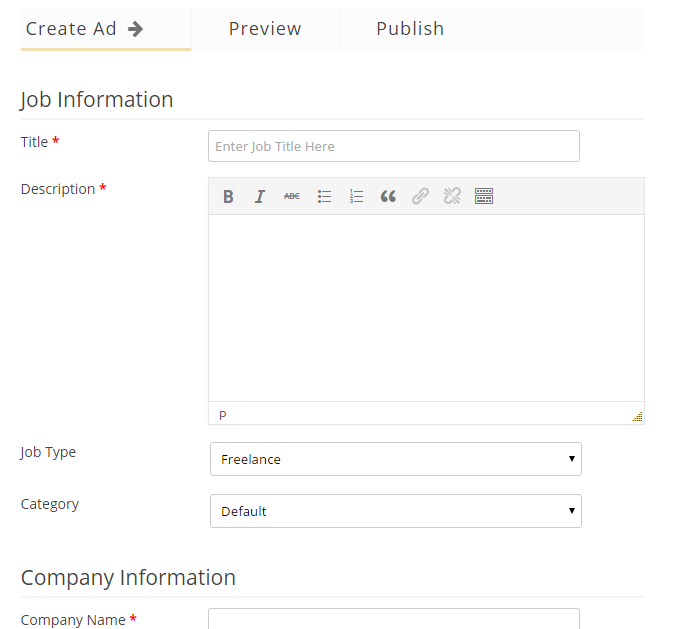 This shortcode allows to create “Post a Job” form. This is a three step form that allows to: enter data in the form, preview job posting result and finally publish the job listing. Note: If you would like to make current page default Employer registration page then after placing the shortocode on page go to wp-admin / Settings (WPJB) / Default Pages and URLs panel and make this page default “Jobs Post” page. This shortcode does not have any parameters.